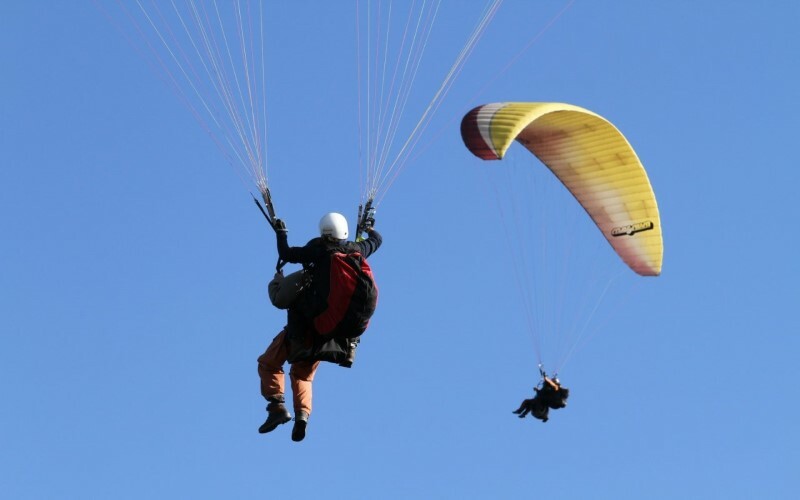 Paragliding in Baños Ecuador, is done from the city of Pelileo in the Nitón hill, for this activity is done in TÁNDEM, which consists of a flight with a certified instructor and with many hours of flight that endorse their experience. 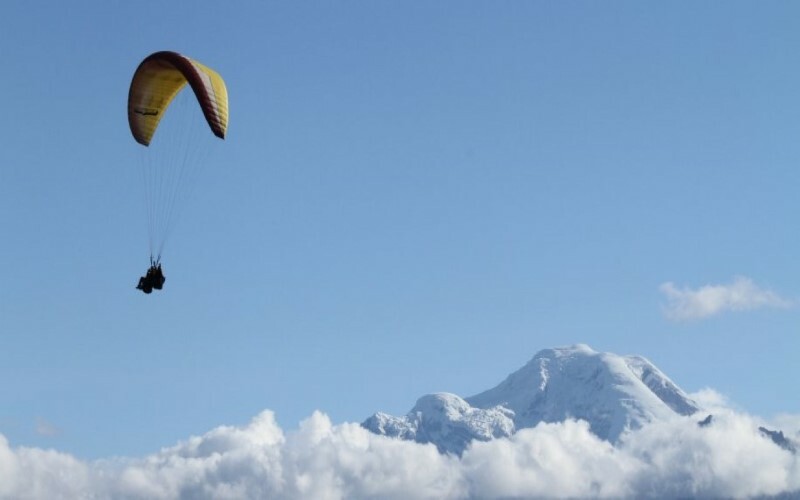 In the city of Baños de Agua Santa exten agencies of tourism that offer this tour at comfortable prices, also at the end of the activity you share the photos made during the Paragliding. 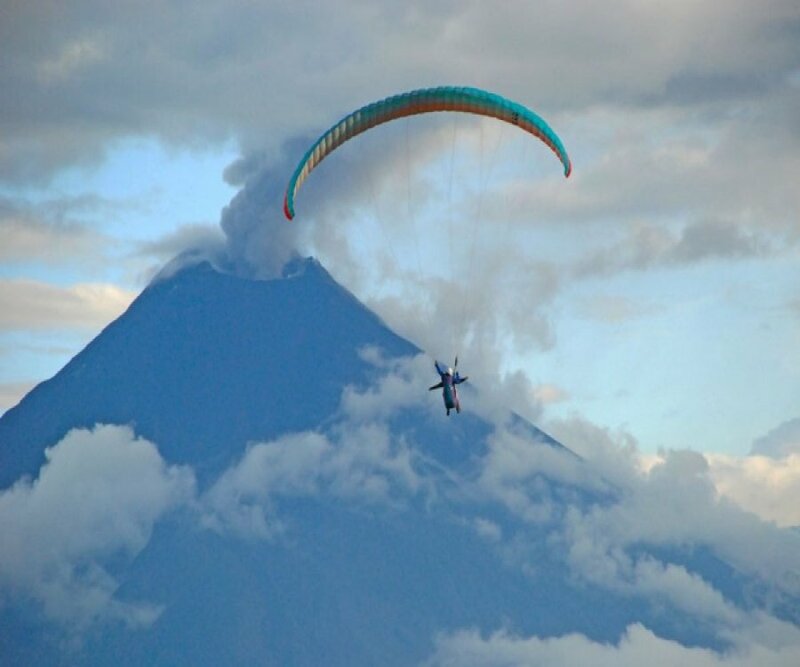 While you fly, you can enjoy an extraordinary landscape, the valleys of Patate, the view of Tungurahua Volcano and the city and Baños de Agua Santa as its surroundings. Do you dare to enjoy an unforgettable experience ..?